This article is a step by step breakdown on how to do contract modifications. This is useful when you need to make some changes to a contract during the rental period. Do note that the reservation must be on the “Open” or “Rental” status for you to see the Contract Modification buttons. Do note also that you cannot cancel a reservation or delete a reservation if there are contract modifications. They will first need to be deleted before being able to cancel a pick up which will, in turn, allow you to cancel the reservation or delete the reservation. You can learn more about canceling and deleting a reservation here. This page is located in Step 8 (Contracts) of a reservation process under the Contract Modifications section. There are 5 types of adjustment that you can make which are Extensions, Replacements, Charges, Change of Locations, and Early Returns. This adjustment allows you to add time extension to a rental period. Firstly, click on the blue “Add Extension” button, highlighted in orange in the picture below. Once you have clicked on the button, a new window will appear. 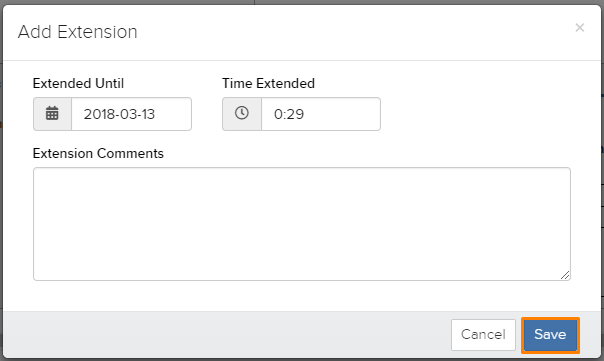 Select the date and time of when the rental will be extended until and click the blue “Save” button, highlighted in orange in the picture below. This adjustment allows you to do a vehicle replacement for a current rental. Firstly, click on the “Replace Vehicle” button, highlighted in orange in the picture below. Once you have clicked on the button, a new window will appear with details of the current vehicle. At the bottom of the page, you can choose the new replacement vehicle as well as select if it will be replaced for free or not. Click on the blue “Save” button, highlighted in orange in the picture below to save the changes. This adjustment allows you add any additional charges that the customer would like to add to a rental. An example would be to add an additional child seat. Firstly, click on the blue “Add Charge or Adjustment” button, highlighted in orange in the picture below. Once you have clicked on the button, a new window will appear. Here, select the additional charge that you are adding to the rental as well as key in any special price that you will give to the customer. 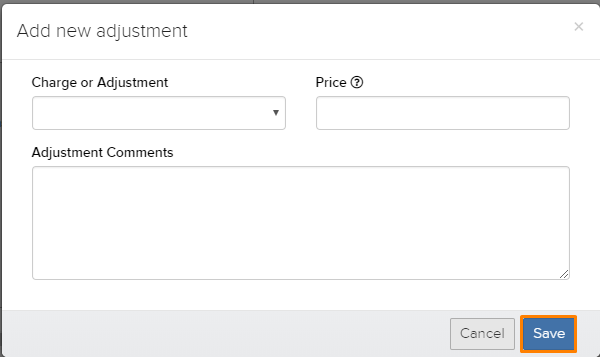 You can leave the price field empty and it will automatically use the price that you have set for that item. Next, click on the blue “Save” button, highlighted in orange in the picture below to save the changes. This adjustment allows you to change the pickup and/or return location of the rental. Firstly, click on the blue “Update Locations” button, highlighted in orange in the picture below. Once you have clicked the button, a new window will appear. Here select the location which you will be changing for either the pickup location, return location or both at once. Next, click the blue “Save” button, highlighted in orange in the picture below to save the changes. This adjustment allows you to modify the rental period in the event that the customer has returned the vehicle early. Firstly, click on the blue “Early Return” button, highlighted in orange in the picture below. Once you have clicked on the button, a new window will appear. 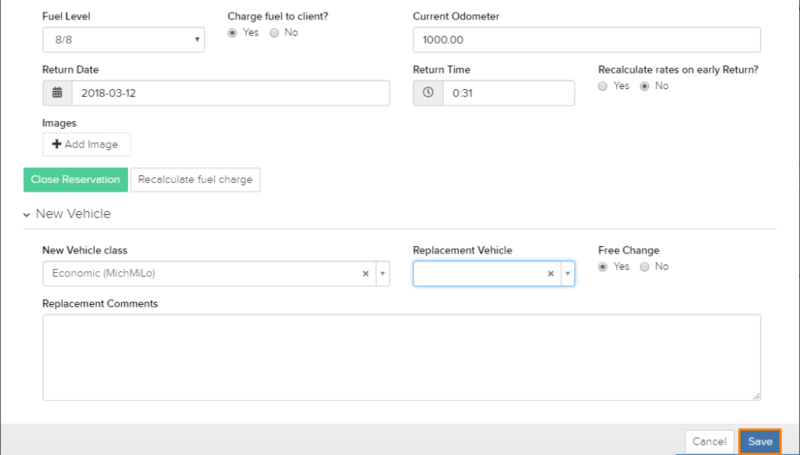 Here, select the date and time in which the vehicle was returned and select if you would like to recalculate the charges. Click on the blue “Save” button, highlighted in orange in the picture below to save the changes.